Boaters for years have turned to the pocket cruiser to fulfill their dreams of spending time on board. These boats typically range from about 24 to 30 feet, and their enclosed deckhouses neatly pack everything needed for coastal cruising, including air conditioning and heat. 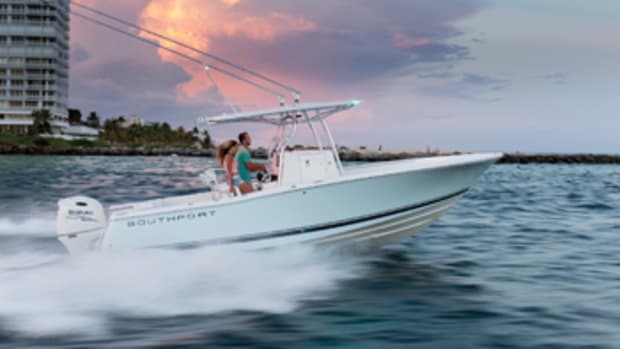 A single engine powers many of these boats, which translates to a lower purchase price and better fuel efficiency than higher-horse twin-screw cruisers. Their trailerability gives owners the freedom to explore new destinations, not to mention saving money on slip fees. And it gets better. 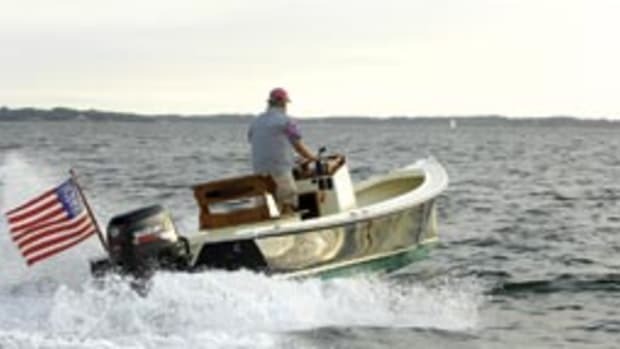 Today’s 4-stroke outboards have made pocket cruisers less expensive to purchase, operate, maintain and service. “The outboard power gives us a chance to offer a lower price and still continue to offer a trailerable, fuel-efficient boat,” says Sam Bisset, director of communications for Ranger Tugs and Cutwater Boats, which now offers inboard and outboard versions of two of its newest models. Of course, the diesel isn’t going away. These engines also are more efficient, lighter, cleaner and quieter than ever. Manufacturers are now offering smaller power plants that pack the same, if not more, horsepower as larger engines, and their durability remains tough to beat, although some say the longevity of 4-strokes now rivals the diesel. “You can count on today’s outboards to start up every time and perform. And in many applications the economy and performance is greater with an outboard,” says Marc Grove, co-owner of Wefing’s Marine in Eastpoint, Florida, who has sold pocket cruisers for close to two decades. Outboard power offers other benefits, as well. The space that inboards and drivelines previously occupied is available for tankage, generators or supplies, says Grove. Outboards are easier to replace, and they’re serviced and fueled in more locations than diesels. Pocket cruiser designs also have improved. 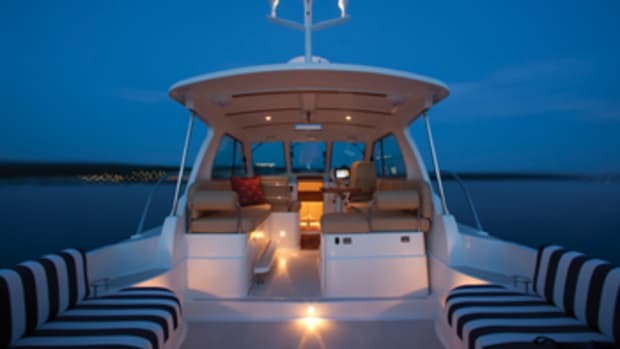 They’re more comfortable to live aboard and easier to operate, and builders have enhanced their visibility, lighting and ventilation with larger pilothouse doors and windows, more hatches and skylights. Clever seating and storage make use of every inch of space — inside and outside. They can carry more equipment — kayaks, paddleboards, diving gear — and some come outfitted with solar panels. The bottom line is that pocket cruisers are much better boats than they were 10 years ago. Here’s a look at four new models from 23 to 35 feet. 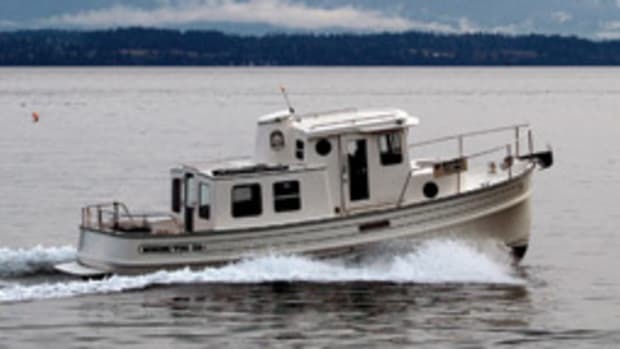 This is Ranger Tugs’ first outboard-powered boat. The R-23 slots between the diesel-powered R-21 EC and R-25 SC. Unlike Ranger Tugs’ larger boats, which are semi-displacement, the R-23 rides a fully planing, hard-chine deep-vee hull that scoots along at a 25 mph cruise and nearly reaches 40 mph at full throttle. The radiused pilothouse windshield gives the driver excellent visibility, says Bisset. 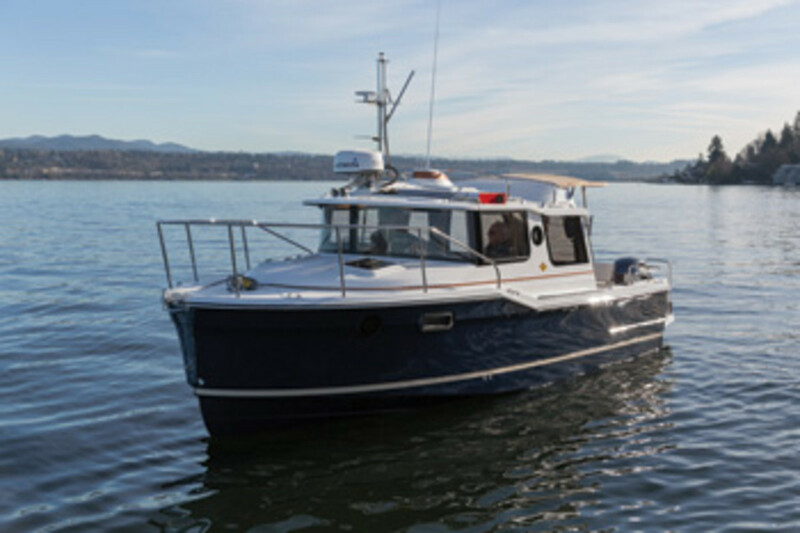 A skylight in the pilothouse hardtop, sliding side windows and four overhead hatches provide light and ventilation. The cabin houses a twin V-berth with a table, along with a head, shower, sink and mirror. The dinette in the pilothouse converts to a double berth. There’s also a smaller berth in the pilothouse — all of this in a 23-foot boat. 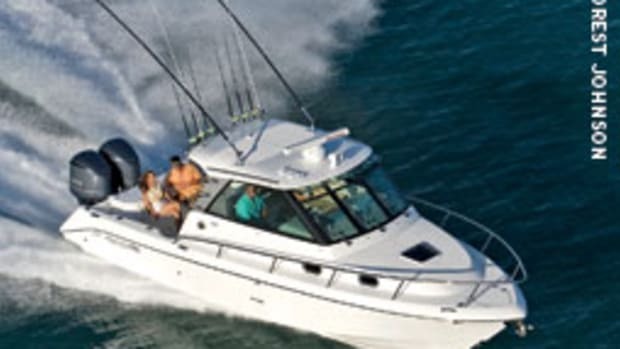 The R-23 functions well for day cruising and fishing. Rod holders are standard, and downrigger pads and outlets are optional. You can fold down a double seat and mount a table in the cockpit. A starboard transom door leads to the boarding/swim platform. 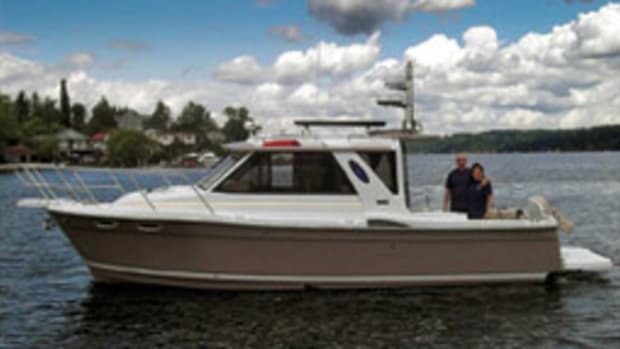 Fluid Motion, the parent company of Ranger Tugs and Cutwater Boats, also offers the R-23 with a 170-hp Volvo Penta diesel sterndrive ($109,937). 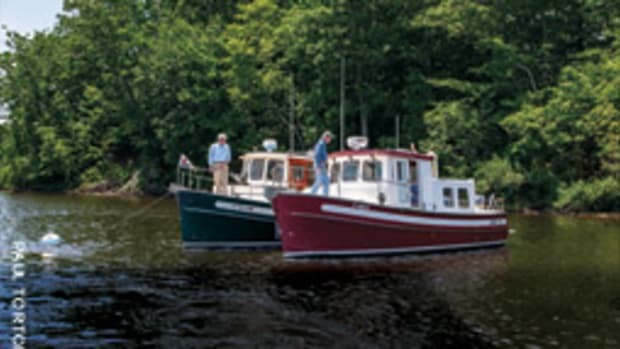 Straight-shaft diesels power all of the other models in the Ranger Tugs fleet, which ranges from 21 to 31 feet. The C-24 joins 26-, 28- and 30-foot models in the Cutwater pocket cruiser fleet. The new boat has the saloon and cabin of a 28-footer, with a dinette for four, a refrigerator, stove, microwave, a large amidships berth for two, a two-person V-berth that doubles as a dinette, and a head with a shower. The builder does a good job of maximizing storage and seating in the deckhouses of its boats. On the C-24, the companion seat’s backrest flips forward for seating at the dinette. The helm seat’s backrest flips forward to free galley space, and the dinette seating converts to a berth. An aft deckhouse glass door and two windows open the interior to the cockpit. Open the port window and tilt the dinette aft seat forward to enlarge the cockpit area. You can choose from three power packages: a standard Volvo Penta 240-hp V-6 gas sterndrive, an optional Volvo Penta 220-hp diesel sterndrive or an optional Yamaha F300 outboard. This is the first Cutwater offered with outboard power. 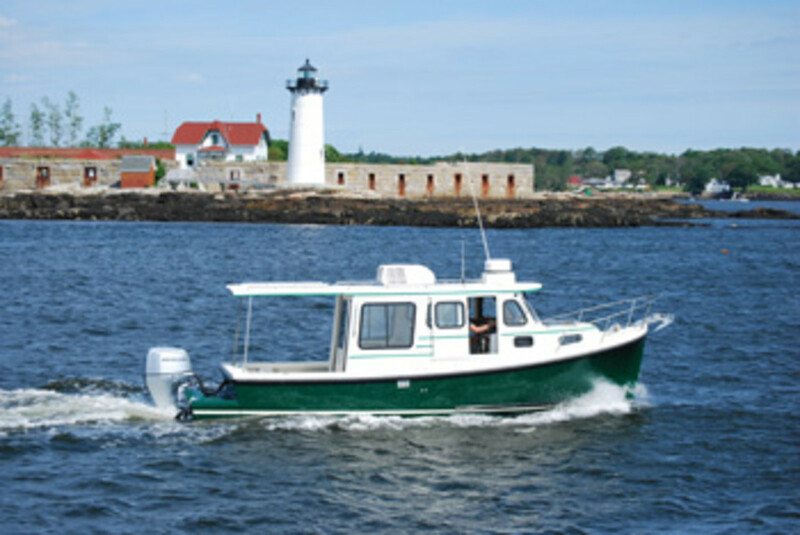 Like the Ranger, the Cutwater has the accommodations of a cruiser but the speed of a center console. Its deep-vee hull delivers a smooth ride, and it has a keel pad and reversed chines for quicker planing and overall stability, says Bisset. The double-stepped hull reduces drag and increases fuel efficiency while providing lift, he says. Since Eastern Boats acquired the molds for the RF-246 in 2014, the New Hampshire builder has redesigned its interior, giving the boat “a little bit of bling,” says Bruce Perkins, Eastern’s vice president of sales and marketing. “The previous boat was utilitarian, and everything was kind of bland,” he says. Eastern added a teak high-low table for the dinette and cockpit area, replaced the halogen lighting with LEDs, upgraded the upholstery and added teak trim in the pilothouse and cabin. The RF-246 is now offered with three interior layouts: Halifax, Yarmouth and Digby. The Halifax and Yarmouth models put the head in the forward V-berth; on the Digby it’s in the pilothouse’s aft starboard area. The Halifax has a dinette settee to port that converts to a double berth. The dinette table can also be used in the cockpit. The Yarmouth features a four-person, booth-style dinette. The V-berth has been extended from about 6 feet, 2 inches to 7 feet on the Digby and Halifax. 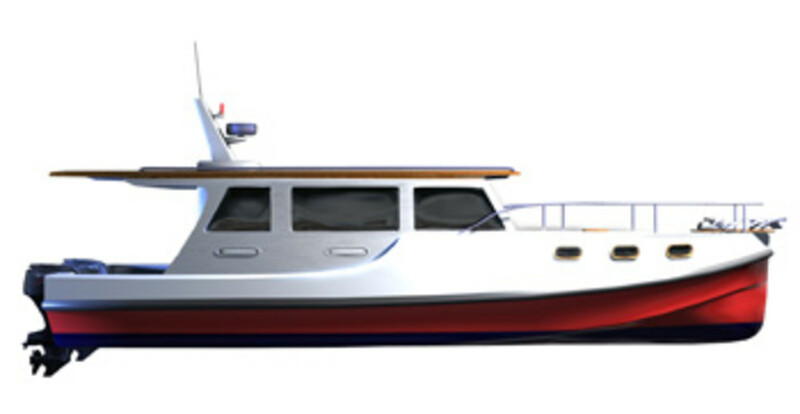 The hull, deck and pilothouse structure remain the same on all models. 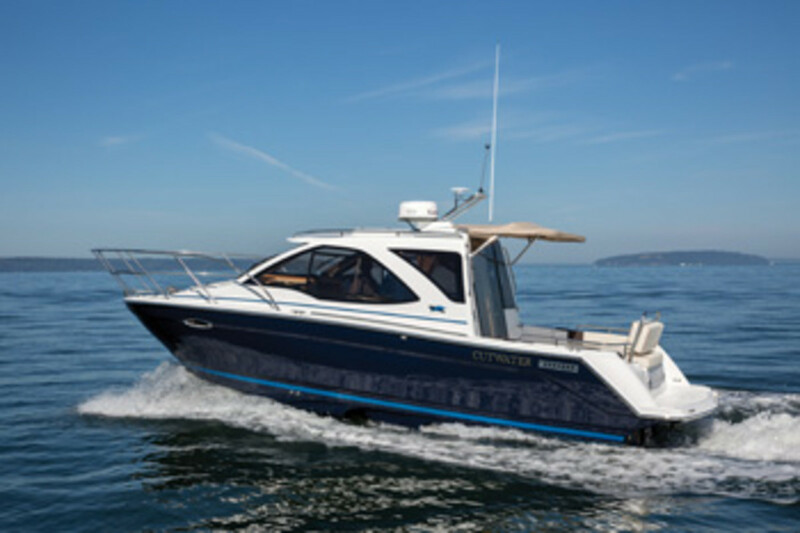 The TT35 has the interior space of a midsize trawler but the draft and weight of a pocket cruiser. 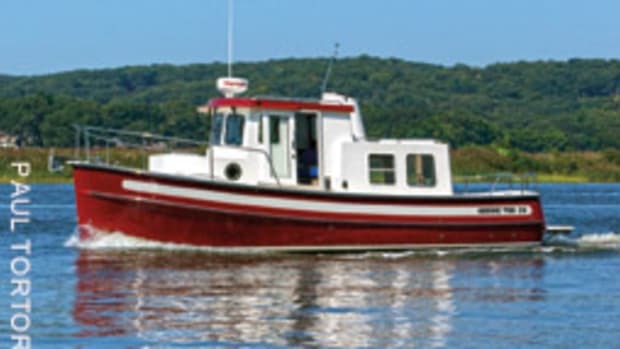 The design and construction contribute to the boat’s overall efficiency, says Ken Fickett, owner of Great Harbour Trawlers. Long and relatively narrow for its length, the TT35 will get about 5 nmpg at 8 to 15 knots, for a range of 400 to 800 nautical miles, Fickett says. The boat is built using composite coring encapsulated in fiberglass and Innegra, a high-performance fiber used in airplanes and race cars, as well as bicycles, kayaks and paddleboards. The materials are bonded using resin infusion. “I wanted a fuel-efficient boat, but it also had to be strong in a seaway,” says Fickett, who has also built airplanes, sailboats and flats boats. The TT35 has a fine bow with a sharp entry and a shallow underbody, says Fickett. Twin outboards are mounted farther apart than on most monohulls, which helps improve handling and performance, he says.